Cape Town - Steinhoff is now facing at least two possible class-action style lawsuits in Europe, as aggrieved investors try and recoup losses from its share price plunge. On Friday a Dutch investor association said it wants to take the global retail conglomerate to court over publishing incorrect and misleading financial statements. In December 2017 German law firm TILP said it had filed a lawsuit against the firm. Steinhoff has its headquarters in Stellenbosch but is registered in the Netherlands and falls under Dutch law. The international retail group has been under a cloud since its former CEO Markus Jooste stepped down in early December amid a still-ongoing accounting scandal. Since its share price crashed in the wake of Jooste's abrupt resignation, some R200bn in shareholder value has been erased. In a media statement posted to its website on Friday, the Dutch Vereniging van Effectenbezitters (VEB) said that Steinhoff had published “inaccurate and misleading information about the company in at least two annual reports (2015 and 2016) and various press releases”. “Steinhoff also wrongly maintained the accuracy of this information,” it said. The firm’s finances are being investigated by forensic auditors PwC, and it has said that investors can no longer rely on the veracity of its 2015 and 2016 financial statements. Steinhoff’s share price has fallen by over 80% since the news of Jooste and the PwC investigation broke. On Monday at 11:30 it was trading at R6.14 a share on the JSE. The VEB said on Friday it wants a court in Amsterdam to declare that Steinhoff was responsible for making a number of incorrect and misleading statements around its financial situation. If a court were to declare this, it would constitute a first step in opening Steinhoff up to possible class-action style lawsuits. 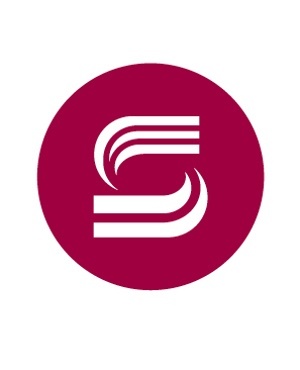 The VEB argued that, due to the incorrect information made public by Steinhoff, investors bought and held onto Steinhoff shares at too high a price. Its director Paul Koster told De Telegraaf that, if a judge were to rule that Steinhoff is responsible for the losses, the investor association could recover damages. Steinhoff’s leadership, who appeared before Parliament last week, meanwhile said they could not yet say when the PwC investigation would be complete. This investigation, they said, would show the extent of financial irregularities at the firm. The retailer has, however, referred its former CEO Markus Jooste to the Hawks, based on initial feedback from PwC. In addition to VEB, German law firm TILP also filed a lawsuit against Steinhoff on December 19 on behalf of an aggrieved shareholder. It has also filed a petition requesting a lawsuit under Germany’s Capital Markets Model Case Act, which it says would allow more shareholders and bondholders the opportunity to jointly litigate their claim before a court. Local trade union the Public Servants Association, for one, has said it would likely join legal action against the company. Steinhoff did not immediately reply to a request for comment.